LONDON, April 11, 2019 /PRNewswire/ -- Shedul.com, the world's fastest growing booking platform for salons and spas, announced today a Series B investment of $20 million, valuing the company at $105 million. The round was led by Partech, an investment firm with hubs in Paris, San Francisco, and Berlin, along with participation from Berlin-based Target Global, Dubai-based BECO Capital, and New York-based FJ Labs. Additionally, the round included personal investments from entrepreneur Niklas Östberg, Founder and CEO of Delivery Hero AG. The fundraise was oversubscribed with additional secondary transactions of $3 million. The Series B round brings the total amount raised by the London-headquartered company to $32 million to date. Shedul.com is an intuitive, free SaaS-enabled marketplace that salons and spas around the world use to streamline their business operations. In just a few years since launch, the company has captured a vast customer base of merchants in more than 120 countries, mainly in the United States, United Kingdom, Australia and Canada. 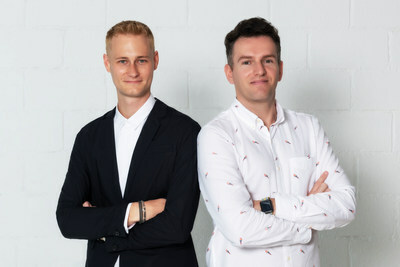 Recently, the company launched its consumer marketplace Fresha.com, which connects merchants using the free business software to consumers online. The marketplace unlocks revenue potential for merchants by leveraging the power of online bookings and automated marketing through mobile apps and integrations to Instagram, Facebook and Google. Today, the company announced that a staggering 8 million appointments are booked on its platform each month, at a value of over $270 million and growing. Growth in active merchants is expanding at an average rate of 20% quarter-on-quarter, making Shedul.com the world's fastest growing beauty and wellness platform. In just a few years since launch, the platform is on track to process $6 billion worth of appointment bookings by the end of 2019. The company's Co-Founders, William Zeqiri, and Nick Miller, shared how their strategy helped outpace conventional competitors to achieve hypergrowth. "Being customer-driven is ingrained into our team's core," explained CEO William Zeqiri. "Since day one, we have focused on solving major challenges to make our customers happy. We spend much time talking to our customers and acting on their feedback, enhancing our platform to suit their needs. That's how we've built an award-winning product that can sell itself." "It's not only the quality of our product which gives an advantage, it's the unbeatable accessibility our platform offers customers," added Nick Miller, the company's Chief of Product. "The market is highly competitive, crowded with legacy software providers who charge excessive fees to simply access their products. We've re-invented the business model by offering our business software totally free of charge, and instead monetise online bookings made through our marketplace. This strategy helps us consolidate the industry, building up a vast global network of merchants for our marketplace. We solved the chicken and egg problem of reaching marketplace liquidity, letting us rapidly scale and monetise the network." Ultimately, this unique approach of powering a global consumer marketplace with a free SaaS platform attracted Partech to lead the Series B investment. "We believe the founders have built an excellent product and demonstrated impressive growth since inception with their unique business model," explained Philippe Collombel, Co-Managing Partner of Partech. "They have a winning vision to deliver transformational change to the beauty and wellness industry, and we believe their strategy will propel them to become the largest booking platform for the multi-trillion dollar beauty market." "We're ecstatic for Partech to join as our partner in supercharging growth of our platform," said Zeqiri, commenting on the Series B investment. "The beauty and wellness industry is at a tipping point transitioning to an online model, the new investment secures our forefront position in leading this global shift." The company plans to use the investment to accelerate product development and support the ongoing worldwide rollout of its Fresha.com consumer marketplace. For more information, visit Shedul.com and Fresha.com, or download Fresha on the App Store and Google Play. Follow Shedul on Facebook, Twitter, Instagram and Crunchbase.